Randy Lanier was the former Indianapolis 500 Rookie of the Year—whose promising auto racing career scandalously careened into oblivion, when he was sentenced to life without parole for his role as an international drug trafficking mastermind. And next week, Autoweek has learned, he will shuffle out of prison a free man. For the first time in a quarter of a century, Lanier will be able to drive again—at least on civilian streets—when he is scheduled for discharge Oct. 15 from a high-security federal penitentiary in Florida, according to the Federal Bureau of Prisons website. Now 60, graying and deteriorating physically with a bad hip, the once-boyish, bright-eyed South Floridian competed aggressively in the 1980s alongside the likes of racing greats Mario Andretti and A.J. Foyt. When he was 14, Lanier's family moved from Lynchburg, Va., located in the foothills of the Blue Ridge Mountains to South Florida. His interest in sports-car racing was stoked in his early 20s after he attended a 1978 auto show in Miami and wandered over to the Sports Car Club of America booth. He quickly obtained his competition license and purchased a 1957 356 Porsche Speedster. Two years later, he won the SCCA's Southeast Division E-Production class. By 1982, he had filled in for an ill Janet Guthrie and drove for the North American Ferrari team. 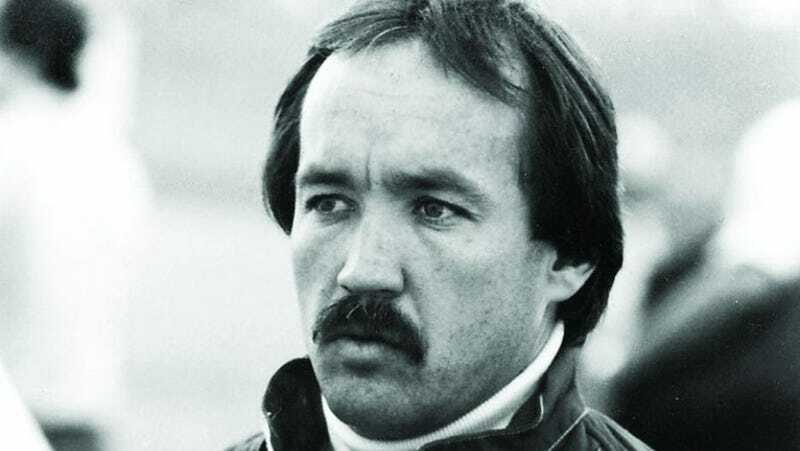 The following year, he drove for multiple IMSA teams, finishing second at the 24 Hours of Daytona behind that victorious team that included Foyt. Lanier teamed with daredevil Whittington brothers (Bill and Dale) of Fort Lauderdale, Fla., to win the GTP drivers' championship as their Chevrolet-powered March 83G regularly whipped past Al Holbert's Porsche 962s and the Group 44 Jaguars. The upstarts took checkered flags at Laguna Seca, Charlotte, Michigan and Watkins Glen, among other racetracks. Lanier's swift rise to notoriety in big-time racing was just as quickly derailed when his life, and career, swerved off course with the scent of pot and quick success. He was reflective of the times: In the 1980s, the South was a breeding ground for some of the biggest stars in road racing. They piloted swoopy, exotic prototype sports cars and engaged in fast-lane lifestyles. Pundits called IMSA an acronym for "International Marijuana Smuggling Association" for its scandalous drug reputation. John Paul Sr., IMSA's most intimidating presence on the circuit as a championship owner-driver, operated his underground marijuana plantation out of Georgia before being busted. His young, talented son, former IMSA GTP champion John Paul Jr., also was sent to prison after being convicted in his father's operation. Lanier's dramatic podium-to-prison topple was triggered when the U.S. Department of Drug Enforcement charged him in a complaint filed in October, 1986. That was less than six months after he smashed Michael Andretti's Indy 500 rookie qualifying record and two months before Lanier fractured his right leg in a nasty crash at the Michigan 500. In 1988, Lanier was convicted in federal court of operating a continuing criminal enterprise under the government's Racketeer Influenced and Corruptions Originations Act. Lanier also was found guilty of conspiracy to distribute marijuana and conspiracy to defraud the Internal Revenue Service. The former International Motor Sports Association GTP sports car champion and IndyCar driver, who bankrolled his career with illegal drug proceeds, can see freedom's checkered flag. But a caution flag still waves over him as he confronts a court-ordered laundry list of do's and don'ts—including spending his first six months in a halfway house. Lanier's mandated three-year supervised release is designed for his careful re-entry into society. "Randy has a high-pitched voice," a friend who speaks to Lanier told Autoweek. "When he's happy, it goes even higher. He was so happy, it was really high." If Lanier's family is as overjoyed as he is about his pending freedom, it had no interest disclosing it. Clearly, he has had a long time to ponder the meaning of his transgressions, and what might have been. In a 2012 interview with IndyCar Advocate, Lanier was asked about his motivation for getting involved in drug trafficking's seedy, dangerous underworld. "Faulty thinking and having my priorities in the wrong place is one reason," he said. "Growing up in the '60s and being around the marijuana culture could have had some influence on me. Money was also a contributing factor, along with the thrill of that sort of lifestyle. " With more than a hint of melancholy, Lanier concluded, "Accomplishments and achievements are not what life is all about." Read more about the case of Randy Lanier at Autoweek.com.